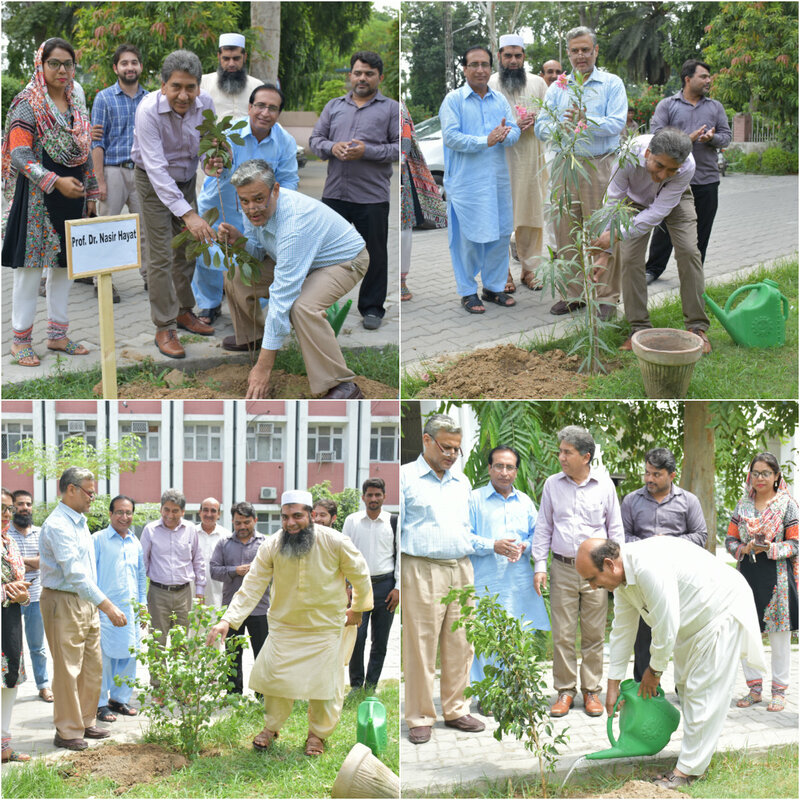 Tree Plantation Drive kicks off at Departments of UET Lahore. 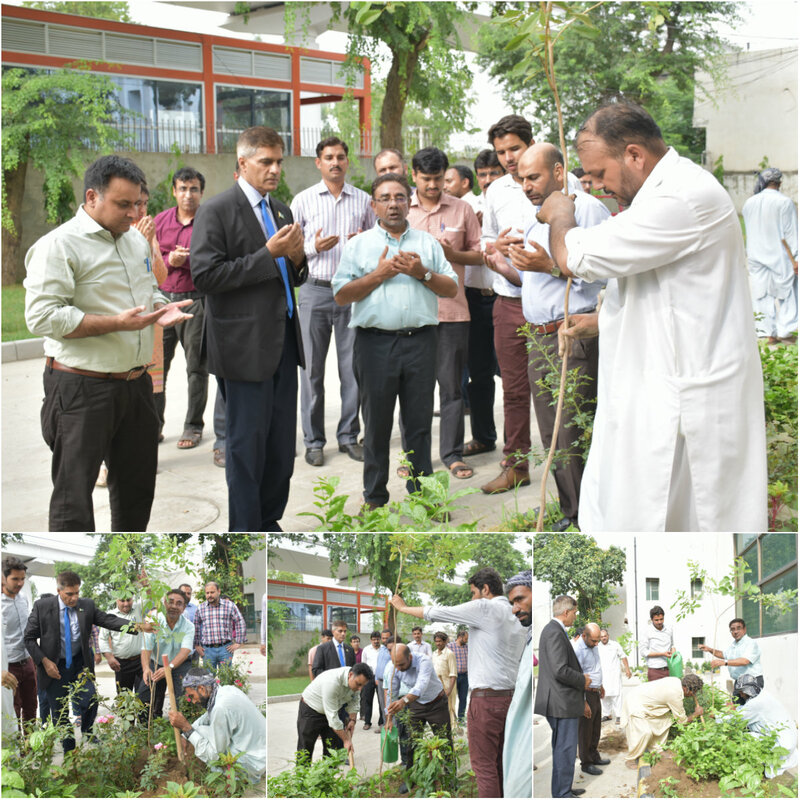 Different departments of University of Engineering and Technology (UET) Lahore including Centre of Energy Research & Development (CERAD), Al Khawarzmi Institute of Computer Science (KICS), Department of Mathematics, Department of Civil Engineering, Department of Mechanical Engineering (ME) and Department of Industrial & Manufacturing Engineering (IME) organized tree plantation drive. 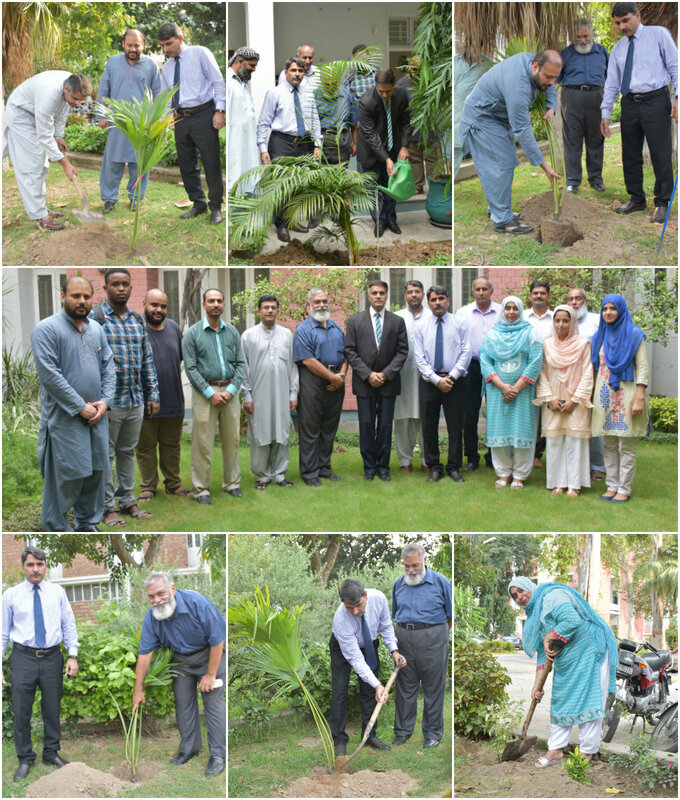 Vice Chancellor UET Prof. Dr. Fazal Ahmad Khalid inaugurated the campaign by planting a tree. Dean of Mathematics Department Dr. Ghulam Abbas Anjum and Chairman Prof. Dr. Muhammad Mushtaq, Dean IME Department Prof. Dr. Nadeem Ahmad Mufti and Director IME Prof. Dr. Mohammad Pervez Mughal, Chairman ME Prof. Dr. Nasir Hayat, Dean of Civil Engineering Prof. Dr. Abdul Sattar Shakir and Chairman Prof. Dr. Aziz Akbar and faculty other faculty members plant many trees in the presence of worthy Vice Chancellor. The purpose of this campaign was to provide the students a healthy and clean environment by making the campus green. 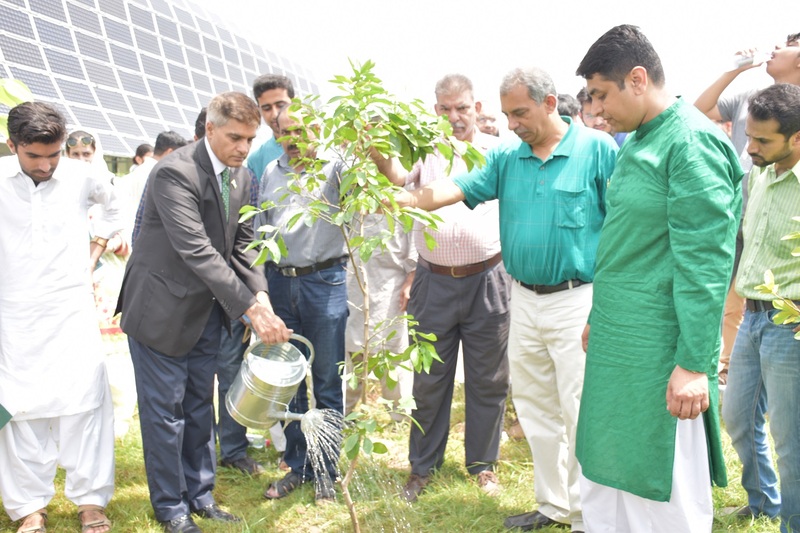 Vice-Chancellor UET Prof. Dr .Fazal Ahmad Khalid said, "Plantation should not be taken as tradition but it should be considered as national and moral obligations". He emphasized to promote the forestation for keeping environment clean and pleasant. 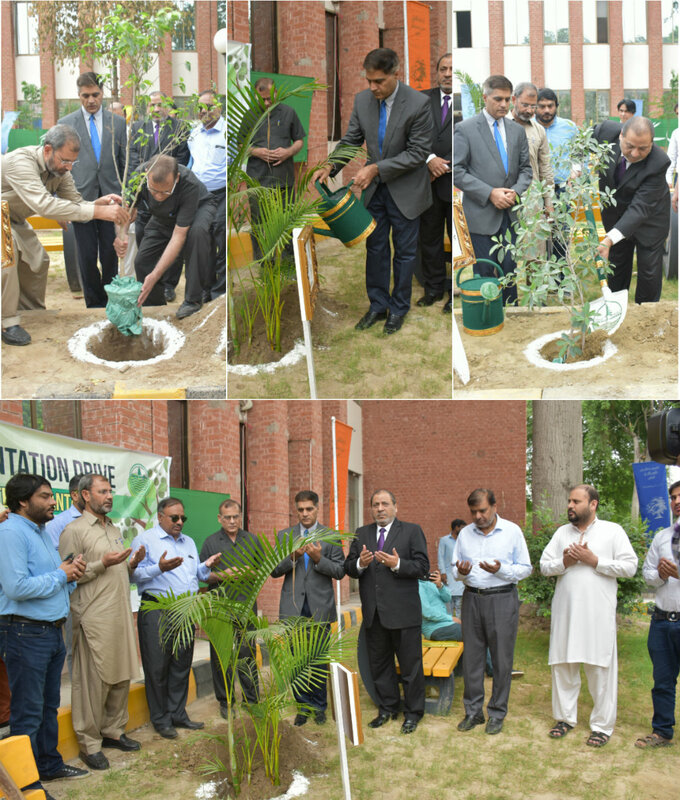 He urged faculty members and students to ensure conservation of each tree they plant. 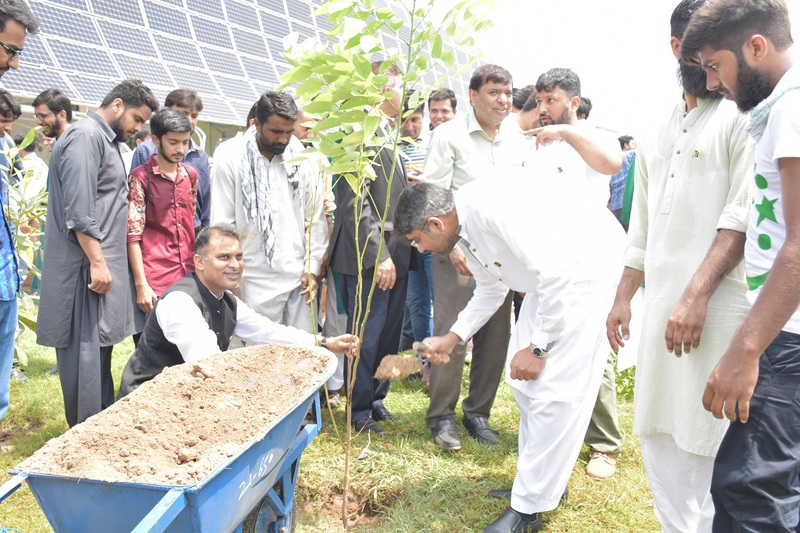 Tree plantation campaign has also been launched in sub campuses of UET.